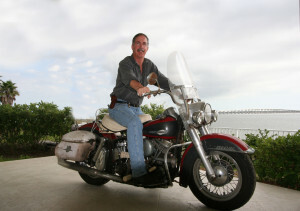 Attorney Brad Sinclair is an avid motorcycle rider, an active Lifetime Member of ABATE (American Bikers Aiming Towards Education)—and sponsors a variety of motorcycle events, and weekend rides throughout Brevard County and Central Florida. As a proud owner of an original 1964 Harley Davidson Panhead, 1975 Harley Davidson Shovelhead, and a 1980 Honda CBX 1000, Sinclair enjoys riding the open road with his fellow bikers when not in the office. As an avid motorcycle rider, Sinclair genuinely understands the challenges motorcyclists face on the road and a rider’s innate desire to get back on the road quickly, after an accident. He is personally involved in every case. Staffed with former claims adjustors, our firm is able to provide sound insight into the insurance industry: knowledgeable to how they process claims and perceptive to how they value cases. We will negotiate property damages and provide advice on medical professionals to help speed your recovery; and assist you on the back end negotiating medical coverage. Sinclair Law knows the particulars of Florida Motorcycle laws and insurance regulations that help you obtain maximum compensation for your Motorcycle Accident Damages. We have created a section of our website dedicated toward providing bikers and motorcyclists with information on staying safe, as well as motorcycle laws, and what to do if you are in a motorcycle accident. These resources will be updated periodically, so check back often. Serving bikers, motorcycle riders, Harley enthusiasts and others motorcycle accident victims in Melbourne, Palm Bay, Cocoa Beach, Titusville, Rockledge, Merritt Island, Cape Canaveral and Brevard County.